It was the first year of my engineering, I still remember vividly the day (late 1998) I saw this particular issue of Overdrive magazine in a newspaper stall. On the cover page was an exotic looking motorcycle which was right out of my dreams. I promptly bought the issue and after going through the magazine, I realized that the motorcycle on the cover page was a soon to be launched in India 156.6 cc, four stroke motorcycle from Hero Honda called the CBZ (the article made sure to mention that the bike’s name was to be pronounced as Cee Bee Zee!). Yes sir, from that fateful day, a Boy Next Door became a Biker Next Door..!! By the end of the 90’s the 2 stroke motorcycles were breathing their last in India and 100 cc 4 stroke economizers (led by the Hero Honda Splendor) were the order of the day. The CBZ started a new category of motorcycles in India. A category of good looking-performance oriented motorcycles. Although Hero Honda did start the 150 cc revolution, soon 150 cc models from other manufacturers also started to appear in the horizon viz. the TVS-Suzuki Fiero, the LML Beamer/Graptor and the Kinetic GF 170/Lazer. The Pulsar had the Best Package..
All these models including the Hero Honda CBZ, ultimately died a natural death for various reasons. But one particular model, the Bajaj Pulsar 150 not only survived the competition, but even after almost 10 years, it has remained the market leader in terms of sales in its category. 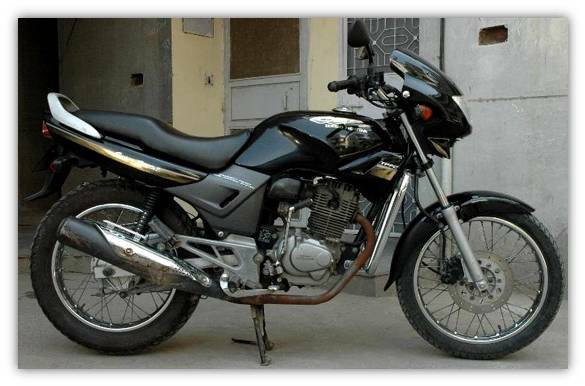 CBZ might have started this new category, but it was the Pulsar 150 which defined it. Let’s go back in time (early 2000’s) and see how 3 of the prominent 150 cc motorcycles stacked up against each other and try to find out what made them tick or what was wrong with them that led to their demise. Like I had mentioned at the beginning of this post, it was the Hero Honda CBZ which started my love affair with motorcycles. In fact so smitten I was with the CBZ that by the end of 1999 I managed to convince my dad to buy me one in Silver color. And boy was she gorgeous. I was blindly in love. But very soon my eyes opened to a bad marriage. The bike looked gorgeous and the riding posture with the comfortable seats, rear set foot pegs, toe only gear shifter was also quite sporty and comfortable at the same time too. But apart from that I do not have any particular fond memories of my CBZ. In fact I don’t remember getting more than 35-36 kmpl of fuel efficiency from an engine which used to struggle at speeds of 100 Kmph, and whenever it did, the engine sounded quite stressful. 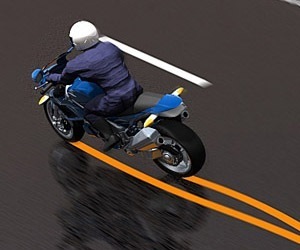 Whenever the tachometer needle used to reach 5500 rpm, vibrations could be felt creeping in through the handlebars and foot pegs. The gearbox was also notchy in its shift feel. In short the CBZ had a stressed and a very Un-Honda type of engine. The CBZ was praised for it handling, but sadly for me, mine wasn’t a good handler. The CBZ was expensive for its time. I had paid around Rs.66,000 for the front disc, kick start only variant back in 1999. Later in 2004, Hero Honda did put in a self starter and also gave it the "new sticker" treatment and called it the CBZ Star. But with the same old engine, it wasn’t much of an improvement. The CBZ ultimately had to be put down in 2006. My love affair with my CBZ ultimately ended in a divorce, when in 2002, I sold it off. The TVS-Suzuki was launched in 2000. This particular bike was in fact quite opposite to the CBZ. If the CBZ had good handsome looks, the TVS-Suzuki Fiero was styled atrociously. On the other hand if the CBZ had an unrefined engine, the engine of the Fiero was a super smooth gem. The engine was torquey and had a very strong bottom and mid range performance. Coupled with a 115 kg light weight body, traffic stop - traffic stop bursts on the Fiero were a delight. Shifting through the gear box felt like a hot knife through butter. But then the ultra conservative approach of TVS probably spelled the doom for the Fiero. Apart from that atrocious and anorexic styling, the Fiero just had to do with 4 gears (with a commuterish toe heel shifter). Options like a front disc brake and electric start wasn’t provided. Handling wise the Fiero was very light and easy to maneuver in tight city traffic but on open stretches, the front end used to feel light and nervous. Just a couple of days back I rode an 8 year old Fiero on a 100 km highway trip. Even after so many years, the engine and the gearbox on the bike performed flawlessly. Even at full throttle, the 8 year old Fiero felt smoother than a brand new Apache RTR. TVS did try to change to correct it self by launching the redesigned Fiero F2 in 2003. It was even provided with a front disc brake. But even then, the F2 still wasn’t sporty enough to wean the crowds away from a new kid in town which was all "Definitely Male", the Bajaj Pulsar. 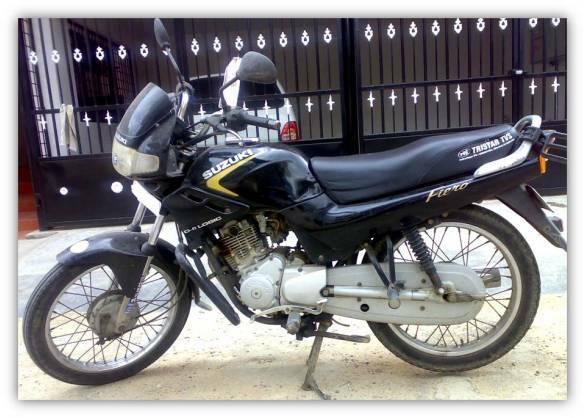 The Pulsar was Bajaj Auto’s first indigenously developed product. Launched in 2001, this bike did more than just become a sales success story. It proved that Indians could also complete with the best in the world. It made someone like me become a believer. 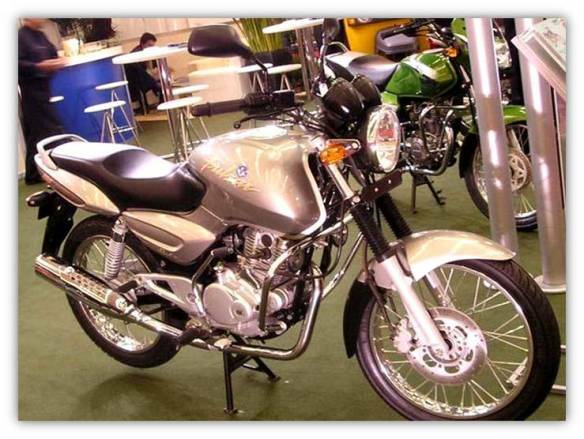 The Pulsar was an attractive package which Indian’s looking for a deal simply could not ignore. 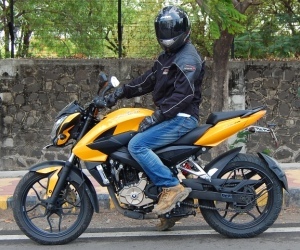 The Pulsar 150 was priced Rs. 10K lesser than the CBZ and at the same time delivered a fuel efficiency which was about 10 Kmpl more than the CBZ. The Pulsar came with standard front disc bakes and a self start was also available as an option right from its inception. With a massive 18 liter fuel tank and sculpted body panels, the Pulsar had a raw and macho appeal to it. The memorable "Definitely Male" marketing campaign just enhanced the aura around the Pulsar. Another master stroke was the launch of a twin, the Pulsar 180 which in 2001 was the performance king. The Pulsar wasn’t perfect from day one. The clutch and the gearbox especially had issues till about 2006 which the UG III (third upgrade). There were quality issues during the initial years which some Pulsar haters still yap about like a broken record. 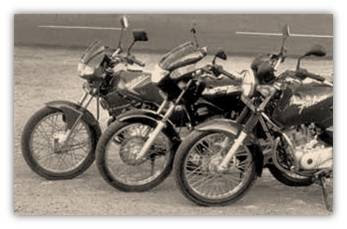 But one has to take into account that the Pulsar was the first attempt of Bajaj Auto in making a motorcycle. There was no Japanese partner like Suzuki or Honda holding Bajaj’s hand at every stage of the development. 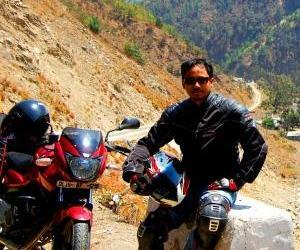 But after nearly 10 years of learning the hard way, the Pulsar has now become a refined and reliable machine. Most importantly, the Pulsar has defined a category which the CBZ kick started in India. 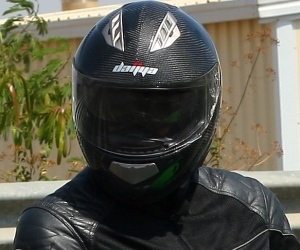 The price of a 150 cc motorcycle in India currently revolves around the Pulsar 150. The Pulsar has been at the forefront in bringing new features in its category like digital speedometer display, LED tail lights, alloy wheels, split grab rails, clip on handle bars etc. The competition just seems to follow Pulsar’s strategy, be it adding new features or launching new variants based on the same platform. Even the marketing campaigns of other brands seem to follow but never managing to make the same kind of impact like the Pulsar campaigns. 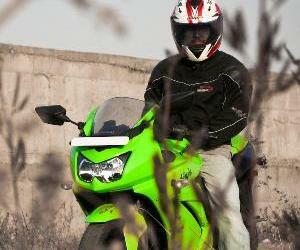 Currently the 150 cc, four strokes are no longer seen as a thrill seekers performance machine. There are much more potent motorcycles in India like the Bajaj Pulsar 180/220, TVS Apache RTR 180, Hero Honda Karizma and the technology ridden Yamaha R15. Moreover in the 150 cc motorcycle category, Hero Honda has come back with models like the CBZ Xtreme/Hunk, TVS with its Apache RTR 160, Honda with its CB Unicorn and CB Unicorn Dazzler, Suzuki with its GS150R and Yamaha with its FZ. Despite the stiff competition, the Pulsar 150 in India has become among 150 cc motorcycles what the Splendor is to 100 cc "Commuter" motorcycles. i.e. a formidable brand. The Pulsar 150 has defined and ruled a category of 150 cc which we can now probably classify as "Sports Commuters". Looking back in time one can say that: The CBZ had the Best Looks and appealed to the heart. The Fiero had the Best Engine & Gearbox and appealed to the mind. On the other hand the Pulsar 150 had the Best Package and appealed to both the heart and the mind. Read the Autocar India, March 2002 comparo of the CBZ, Fiero and the Pulsar 150. Click here.. The article reminded me of the comparison test done by the magazines. Comparo of CBZ, Pulsar and Fiero was an usual recipe at that time. tokyo rnd & glynn kerr were there for inception of pulsar. they wont remember fiero or CBZ or zma or rtr or unicorn..
but pulsar ...aaahhh.... its something.. Yes, I too was a regular at reading those comparos back then. Yes, the Pulsar brand has indeed become very big. Even girls who do not know of bikes, know the Pulsar. Yes, Tokyo R&D was involved during the initial design of the Pulsar. But the product is all Indian. I prefer suzuki fiero as king of 150cc all time due to its robustness and engine performance which pulsar cannot give. cbz rules but all of u cant understand its real powerrrrrr!!!!!!!!!!!!!!!! When Bajaj's twin 180 & 150 Pulsars entered the market, Hero/Honda should have brought Honda Tiger's 200cc engine to be their top end performer, and bridging the gap to the future 225cc powered Karizma. nothin is better than suzuki fiero coz its built and made up i Japan it can easily reach about the speed of 120 without any vibrations i bet CBZ and Pulsar 150 cant!!!!!!!!!!!!!! i own a 2000 model Suzuki fiero and have done many a long distances on it and wats amazed me the most was that once the bike heated like any other 4 stroke the engine got smooth and bike ran faster and yes to all the pulsar and CBZ fans here let me bring to your notice the fact that the Suzuki fiero delivered the best in the class average of 60kmpl mine still gives me the same after all these years. and yes I have racd with a cbz will admit the cbz was faster in pcik up but in top speed and long distance it got lost in the dust the fiero raised behind. Poor review.... Nothing is comparable with Fiero. Bike Fiero is unique and real beast. How CBZ can cross 125? unbelievable.